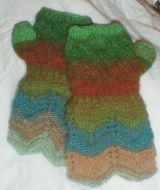 The mitts shown here are knit in Shiraito #4 from a pattern in the Fall 2012 Noro Knitting Magazine. 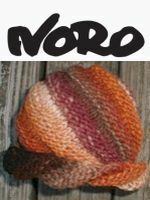 This cashmere angora blend is incredibly soft! Display books & patterns featuring Shiraito.